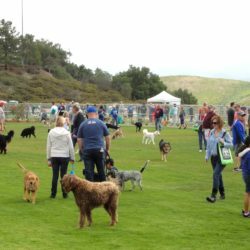 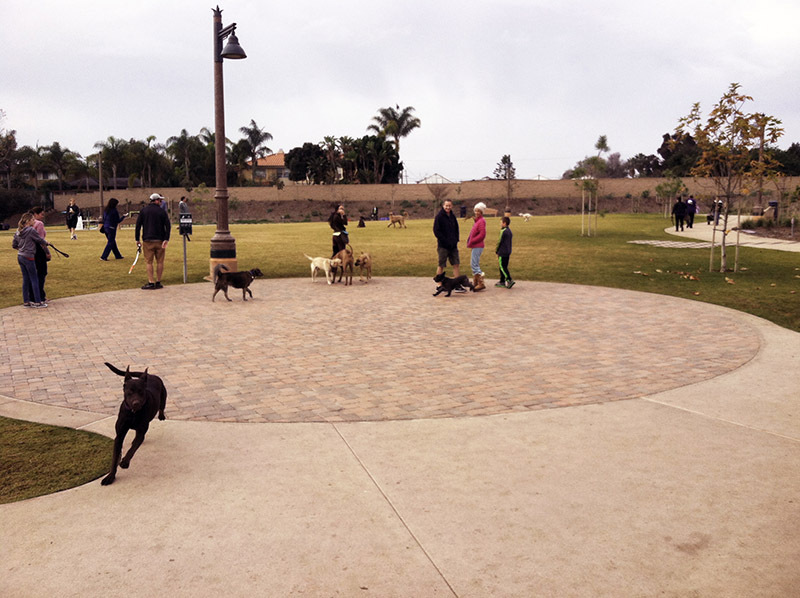 The Dog Park at the new Encinitas Community Park is approximately 2 acres and is set within an expansive multi-use community park of gardens and ball fields. 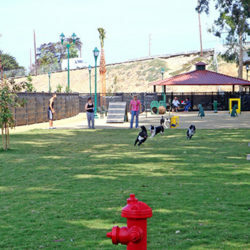 The dog area has a separate fenced area for first timers, small dogs, and large dogs. 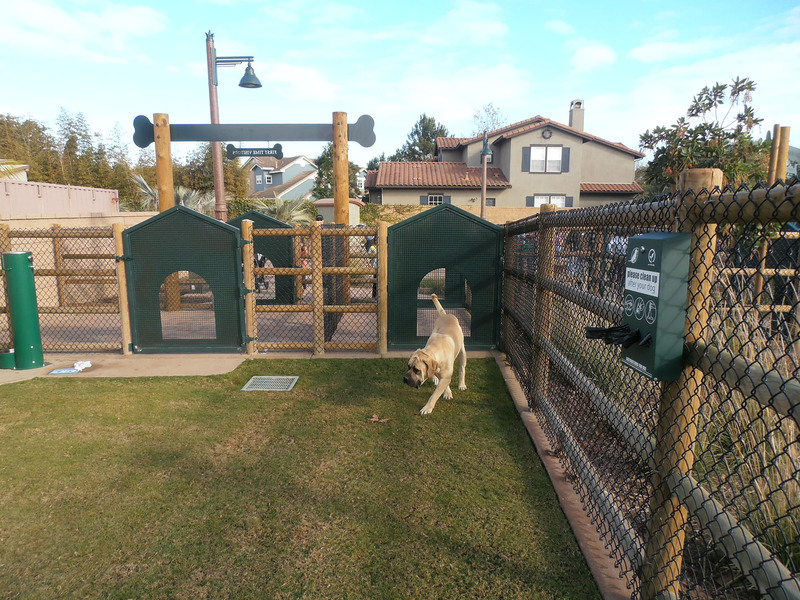 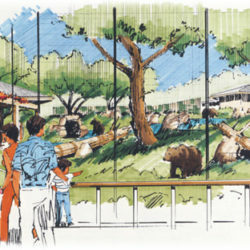 The decorative four-rail lodgepole fencing with vinyl-covered chain-link divides each of these areas, complete with their own double entry/exit gate system to minimize pet confrontations and escapes. 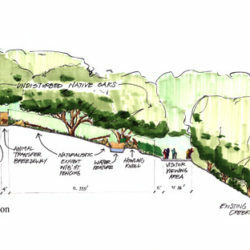 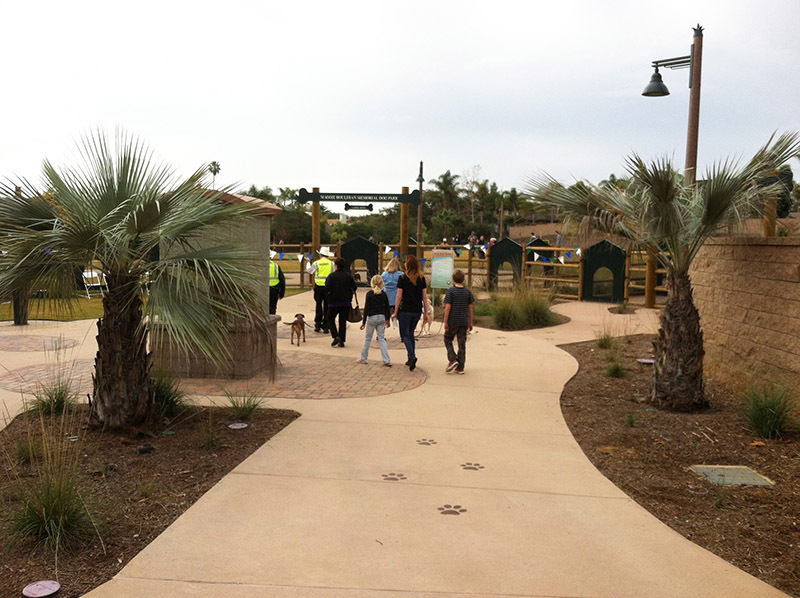 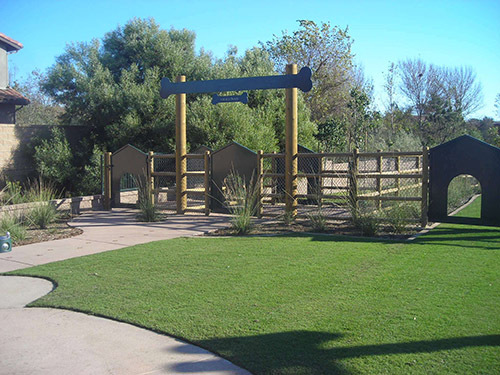 Intermittent seating areas and shade structures patterned throughout the dog park allows pet owners the opportunity to relax and socialize with one another. 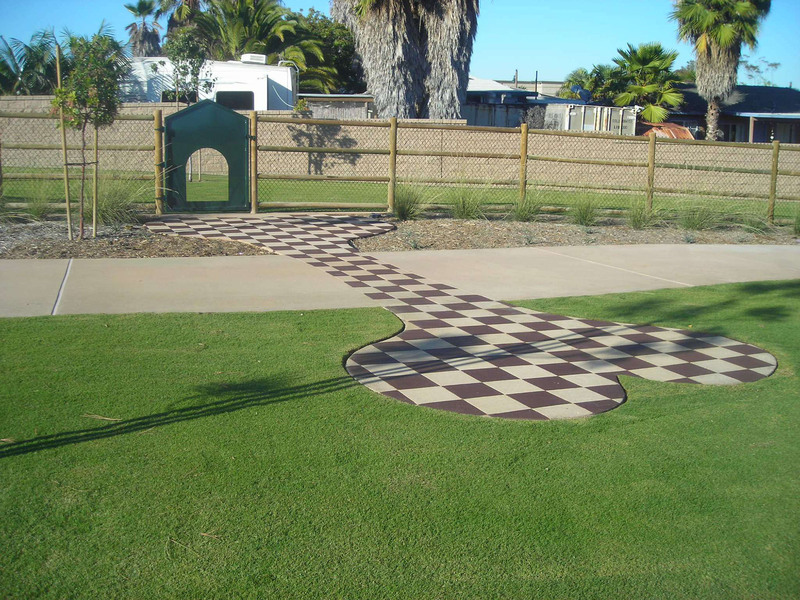 Accented paving patterns entice visitors into the park, while the sectioned areas allow for the setup of dog agility elements, and exhibitions.